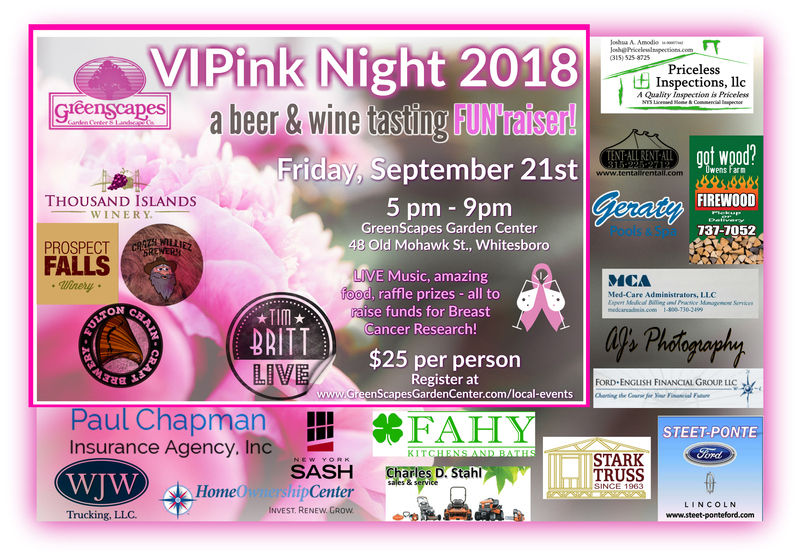 2018 Pink Days - GreenScapes Garden Center & Landscape Co.
As part of this year’s festivities, we will be hosting our annual “VIPink Night: A Wine & Beer Tasting”. 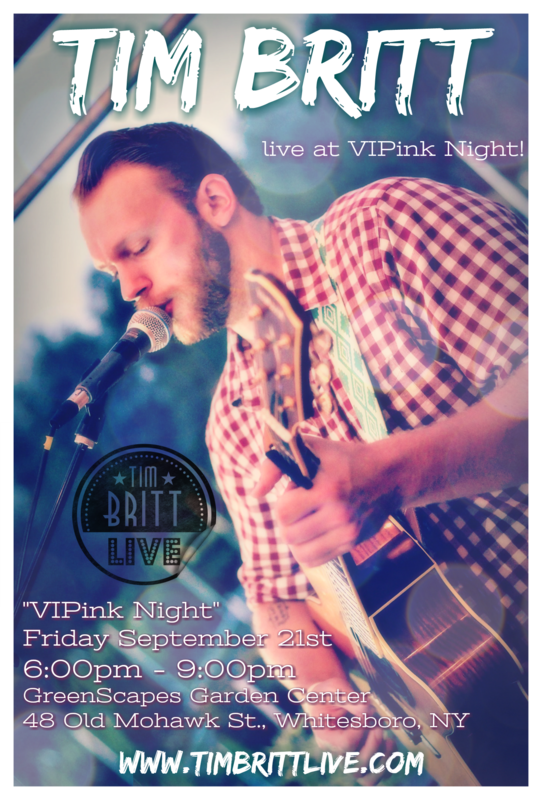 The event is being held on Friday, September 21st, and we will have local wineries and breweries featured at the event to offer samples and tastings to the “VIPs”, as well as live music. 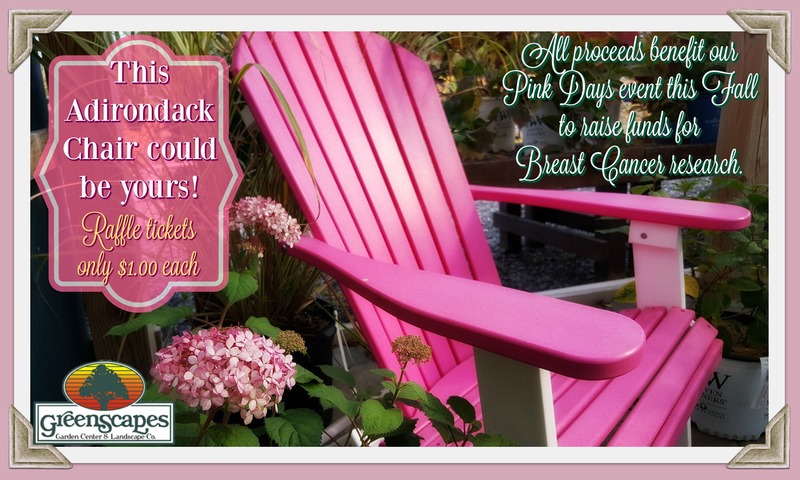 In an effort to maximize the potential of this wonderful cause, Pink Days will extend into the weekend with chances at raffle prizes and PINK specials throughout the Garden Center. We at GreenScapes greatly appreciate your support; whatever form it comes in. The success of this event will be attributed to the participants and the generous people and businesses in our community. Your time and donations will help raise funds help bring awareness and research funds to the individuals who run the risk of developing breast cancer at some point in their life, or are currently fighting this disease. If you would like to help by sponsoring the event or donating a raffle prize, please fill out and return the forms attached here. 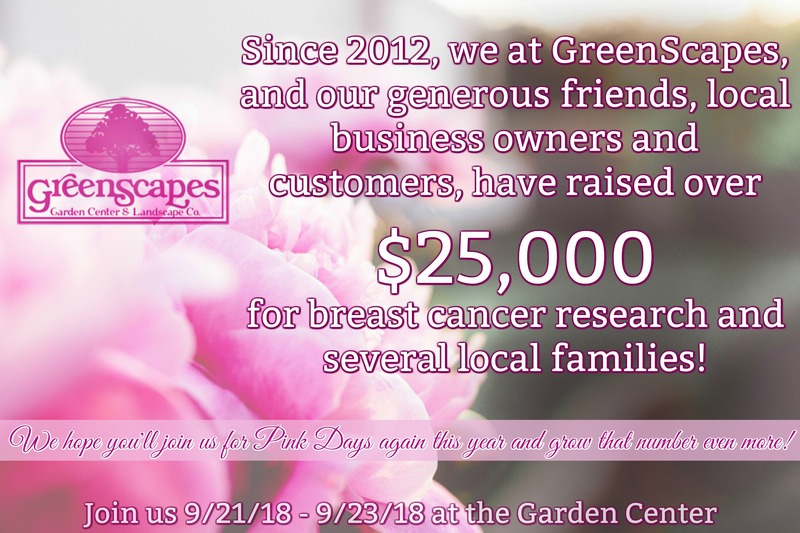 If you have any questions, give us a call (315-736-8733) or e-mail us at Info@GreenScapesGardenCenter.com! Most important to consider in relation to this request is the impact you will have on individual(s) who may be affected by the biggest fight of their lives to date. 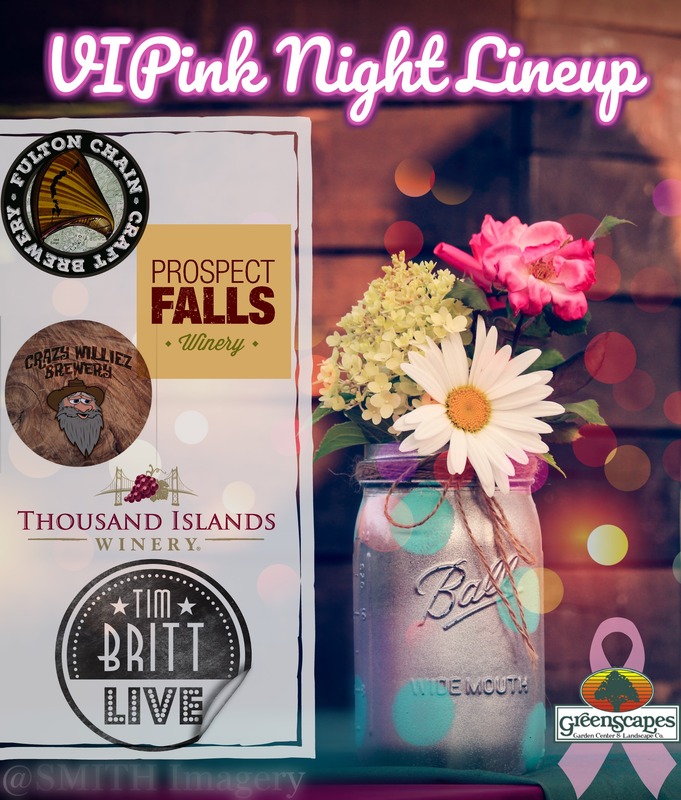 As in years past, we'll choose a “Pink Days Ambassador” to receive a large portion of the funds raised. Previous recipients used the funds for medical bills, living expenses and family vacations. 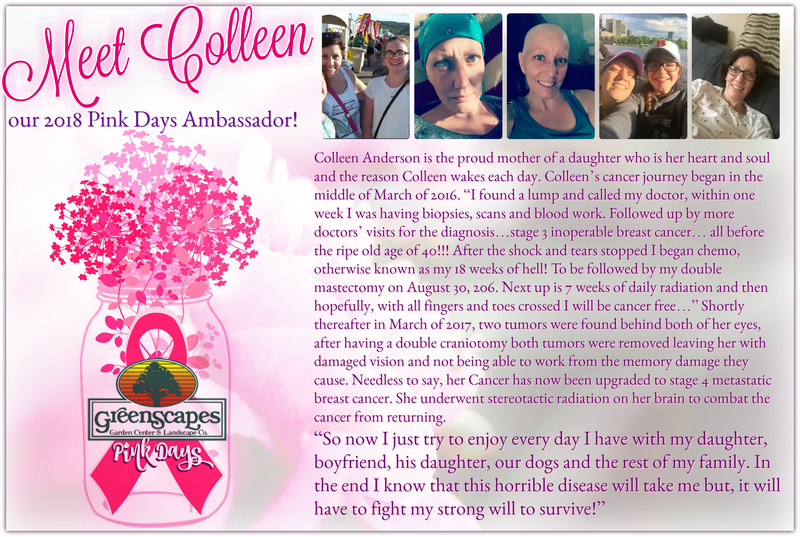 We strive to raise as much money as possible to help ease the burden this disease puts on families.